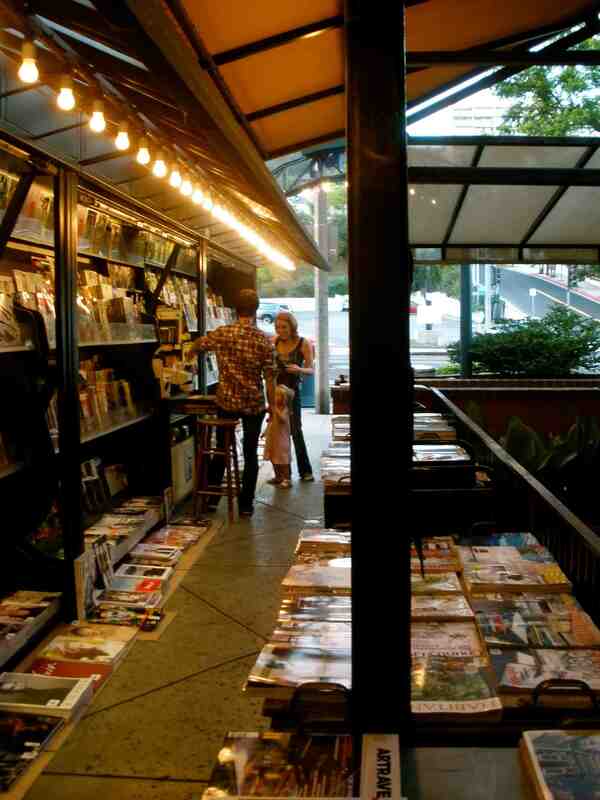 moleskines, magazines and more: an entirely subjective guide to deliciously small shops in #losangeles – teamgloria, inc.
Posted on February 8, 2013 February 10, 2013 by teamgloria in people., places. we were inspired (greatly) by @missjulesberlin who posted this morning – from berlin (how glitteringly gritty and inspired-a-place) – about her favo(u)rite places to shop. so we thought we’d do the Same (especially as we are trying to recall from our previous sojourn Here where to buy Essential Supplies like moleskines and magazines and chicory-laden-coffee and more). Of course, the choice to shop in a small place is a decision to browse and get-to-know-the-owners and meet-locals and generally be charmed by one’s retail experience. we don’t have anything against big shops (per se) – but we get Overwhelmed Very Easily (because we rely so much on visual stimulation and they either have Too Much or none at all and can be Rather Ugly – we-do-not-do-ugly, as you know). But when one wants to save money (always prudent) and has storage for bulk items……. *looksdoubtfullytocamera*……then we understand they can be a good thing. but here are small shops. 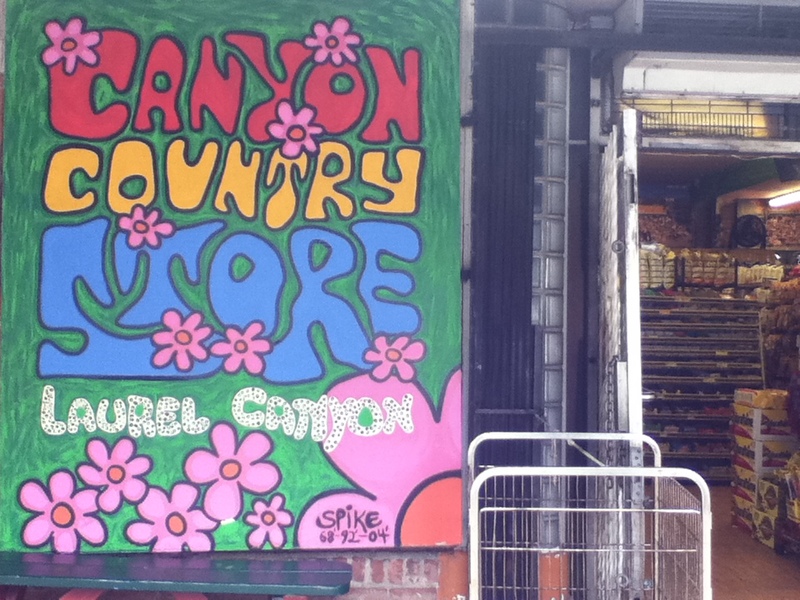 whenever we take Laurel Canyon to the Valley we stop here at the Canyon Country Store. it sells everything (and a lot of travel sizes on the left as you go in for small toothpastes to have in the car and mini bottles of baby shampoo which are adorable) including Marmite (because Lots of British Musicians live in Laurel Canyon). Do you know Dylan Jones? He is a hipster par excellence and edits and has edited many a glorious English magazine. We’ve never actually met face to face but we used to see him at some of the ridiculously glam parties back in London when we were a baby journalist and he was sort of in the gods (as per Eton’s sixth form prefects immortalized by the languid Mr. Everett in Another Country). Anyway – he – Mr. Dylan Jones, not the languid Mr. Everett, wrote a Very Good article about the Laurel Canyon stores here. 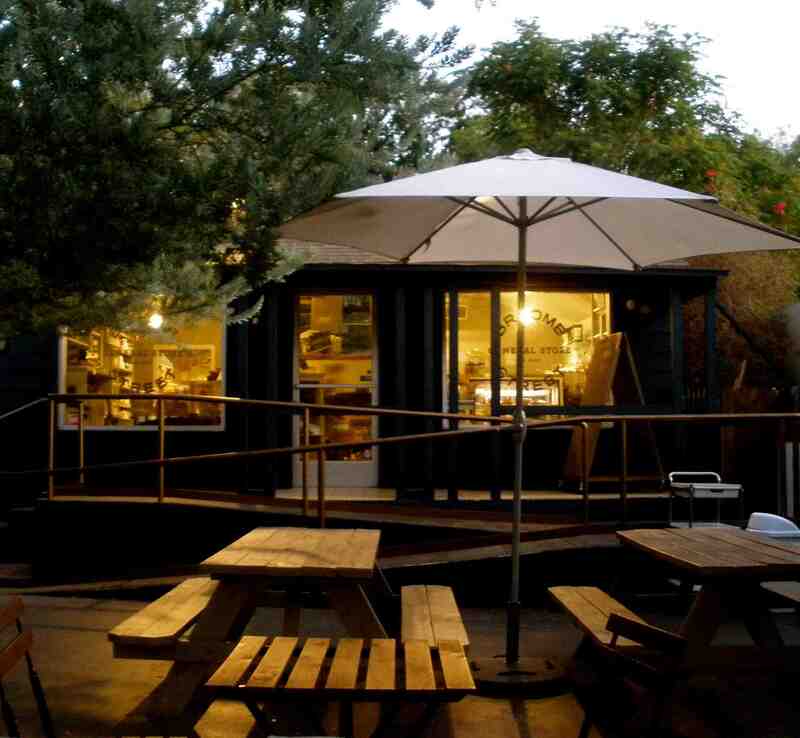 the Canyon has kept the funky, rainbow-coloured charm of the Love Generation, something that is most apparent when visiting the Canyon Country Store, the neighbourhood social hub. Wedged along the twisting Laurel Canyon Boulevard in the Santa Monica Mountains, this is the place mentioned in Jim Morrison’s “Love Street” (“I see you live on Love Street/ There’s this store where the creatures meet…”), the wooden-floored grocery shop/deli/liquor store/café that is still the place to go for Canyon dwellers with the munchies, or for those after an espresso having spent all night partying in the Valley. Here they’ll find Dandy Don’s ice-cream, Dave’s Kombucha (fermented tea), bespoke sandwiches, hearts of palm salads, and the almost-but-not-quite-legendary decaf almond milk latte. let’s drive down Hollywood Boulevard (of broken dreams and grown men playing characters from Star Wars for the Tourists) and go East to Silver Lake*. *greg just sent us a text (quelle moderne) to remind us that Silver Lake is thus – two words – we stand corrected and humbled). 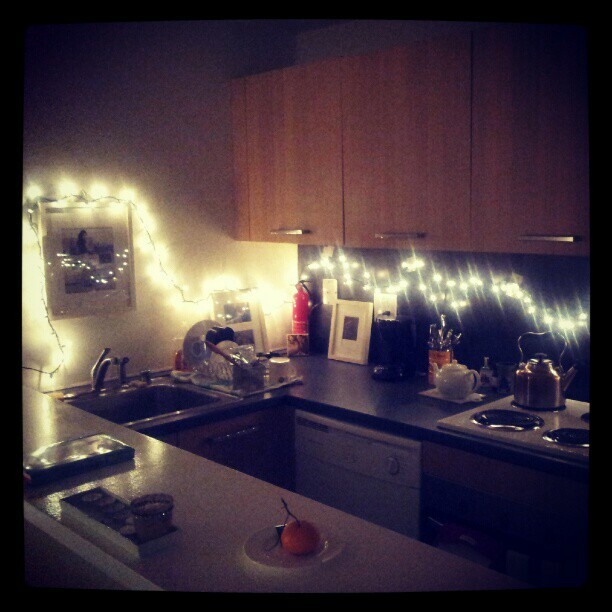 now this is spooky – we used to live here. 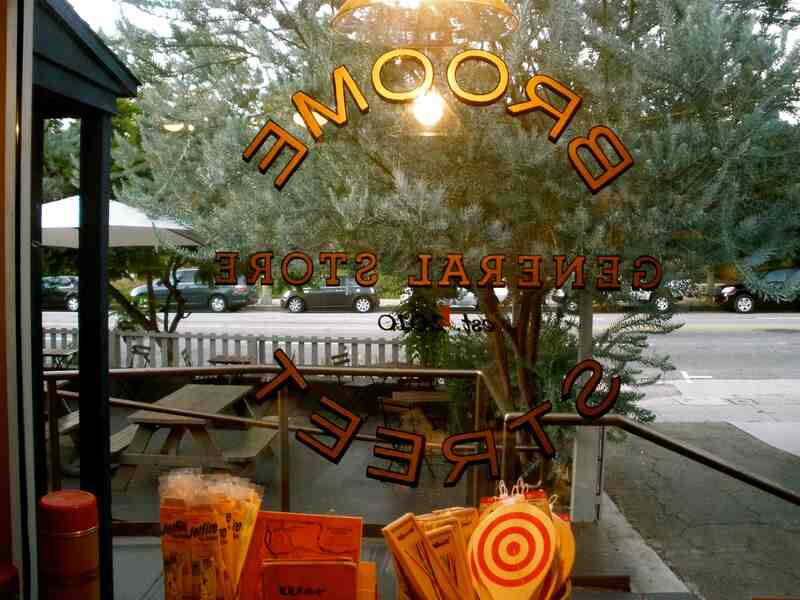 not just in Silver Lake (for we did – for a brief period from december 2001 to the summer of 2002) but In This House – which is now a shop, and a very good one, called Broome Street General Store. and here’s the really spooky bit. the present owner of the Broome Street General Store is called Sophie and moved to L.A from SoHo, NYC. if you recall – whom-we-are-in-RL is sophia (please note the lower case lettering) and just-moved-back-to-LA-from-SoHo-NYC after living-in-what-is-now-this-shop (years ago). things like that happen to us all the time (said airily) but it’s still delicious and a Bit WEird. the other spooky thing about this place is that we wrote a movie and a novel, while living in this house, both called Releasing Butterflies, about a hollywood executive who got fired and had to take the last job in town, running a half-way house for addicted teens (yup, autobiographical, in parts – but we didn’t get fired and it wasn’t Strictly a Hollywood job but we did have a drive-on-pass-to-Paramount). 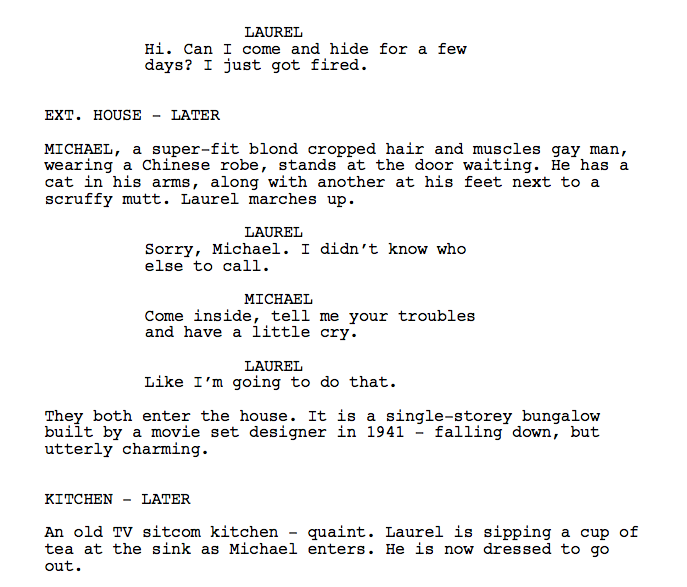 so this is the moment where Laurel (the lead character, with a rather nice british accent) meets Michael who lives in what is now broome-street-general-store. so that’s Broome Street General Store (as was) and funny enough the room-mate whom we based Michael on became Mr. Gay. Colorado.Leather or something similar which just goes to show that you really can’t make this stuff up, darlings. what can one buy at Broome Street today? Lovely ceramics and excellent coffee. Highly recommended. 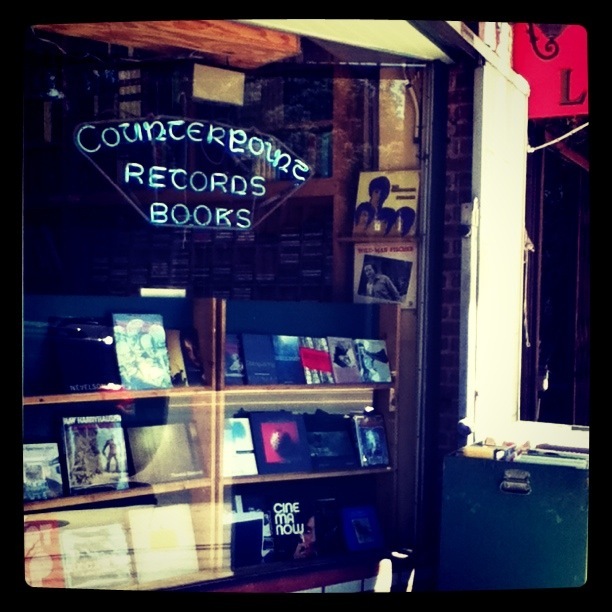 let’s go back down Franklin but stop before we get to the last-cappuccino–before-the-101 freeway (where they shot Swingers and a certain popular culture writer leaves his reading glasses behind the counter, so we’ve Heard) and pop into Counterpoint. we don’t seem to have the book anymore (did we send it as a gift to someone?) but if you want your own copy there’s one here but you won’t find one at Counterpoint anymore because it’s a single-copy-of-vintage-paperbacks sort of a joint. magazines are essentials in the same vein as vintage paperbacks from the 60s so your two choices here (amongst a dwindling number of them, it seems) are either Venice – Dola on Abbot Kinney………. or the newsstand round the side of Book Soup on Sunset Boulevard (still get misty-eyed and whimsical driving up and down Sunset). 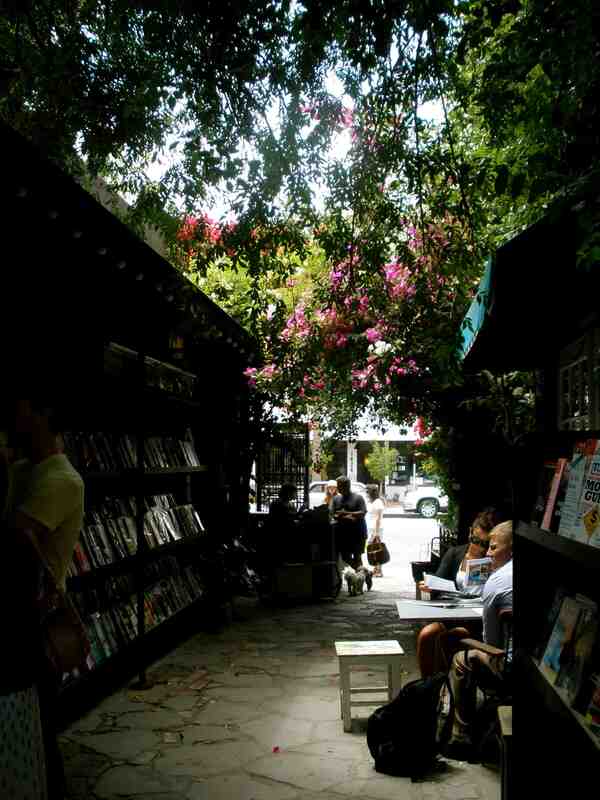 as you can see – both are Al Fresco – this being Southern California – but we have to say Book Soup has the Edge by stringing up twinkle lights year round (just like we do in the kitchen chez teamgloria). now one can’t actually Shop at teamgloria Today – but when the book comes out, we are sure we’ll set up an online store so you can get a signed copy or two. Won’t that be delicious? 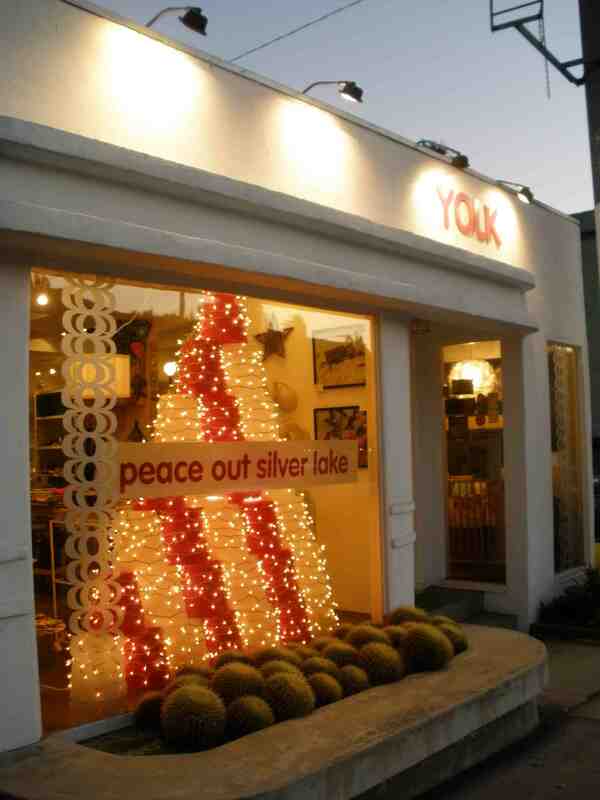 as it’s twilight (and the season of christmas in this picture – yes – from 2011) – let’s go Back Down Sunset to Silver Lake once more to Visit YOLK! now Yolk is where you’ll find celebrities (shhhh – we are TErribly Discreet over here) mingling among the gloriously curated swedish and other nordic country designs or cute children’s gifts and clever greetings cards and some exquisite be-jewelled-pieces to adorn oneself while flitting around the hollywood hills of an evening. it’s that sort of store. people love Yolk on Yelp too (apart from one woman who got upset that she could have found the scented candles on amazon – duh – of course she could – but would she have had a cute little flirt with a hipster movie star from the Hills and got invited to a trunk show by an up and coming designer? or helped a new-in-town-person pick out a particularly juicy orange-glass-heart and giggle together over the greetings cards? we don’t Think So Lady. we’re going to drive to Los Feliz now (yes, the land of happy people – or at least morose writers who will be happy when they sell their screenplay or get discovered or just have lunch and stop feeling so bitter and twisted after a decent milkshake at Fred 62 because a certain British Actor is writing in his notebook at the other booth). 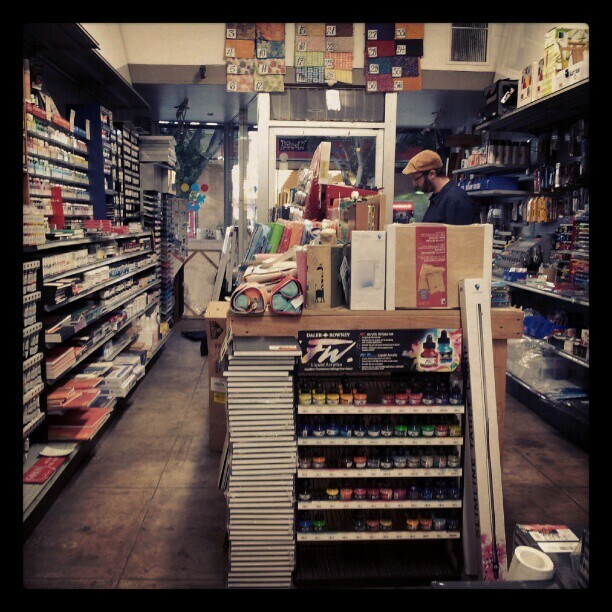 let’s go and buy some new moleskine notebooks ourselves, at Blue Rooster Art Supplies. it’s the sort of place where real painters browse the shelves and ask for large canvases and helped the (themselves artists) staff to roll them up in the back while one waits patiently to purchase a fresh notebook and stares admiringly at the shelves of gouache and consider upgrading from decoupage to a full-on-wall-sized-canvas one day. so we come to the end of our entirely subjective guide to small shops in Los Angeles. 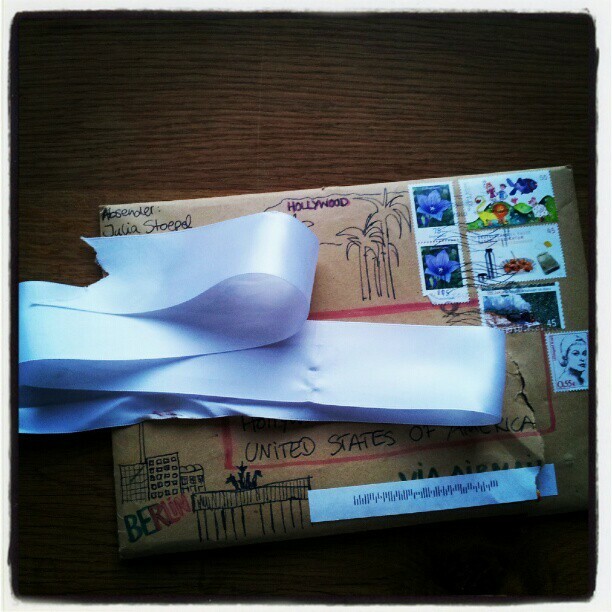 we adore a small packet arriving from Abroad. 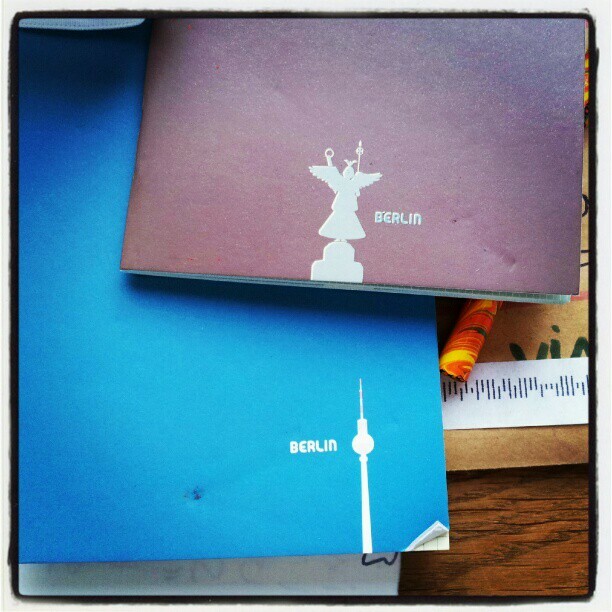 Now Julia noticed that the notebooks got a little battered by their journey but we pointed out that Berlin items probably like to get out of the packet during an Airmail Postal Flight and hang out in the back with the envelopes from Italy eating gelato without their seatbelts fastened. we do think like that. it makes building a new life and finding new suppliers for essential items like moleskines and coffee and pencils and travel-sized toothpaste a Lot Easier. Next Post inspired by others. wow!!! this broome store/former home story is really SPOOKY! what shall it tell us? i am not sure yet. is it some weird matrix thing? what do you think? what i find even more fascinating though, this place looks amazingly cozy (from what i see from that one pic). how was it to live there? Oh see, now this made me just so happy. And honestly? I have already had a rather good day. But all of this…well, to me it seems most certainly that it could be another book in the making. Non? of course nothing beats Joe Le Taxi.